"Combining transformations" is nothing but doing more than one transformation on a geometric shape. That is, one transformation followed by another transformation. The resulting transformation can frequently be described by an equivalent single transformation. A triangle has the vertices (3, 4), (5, 4) and (5, 2). 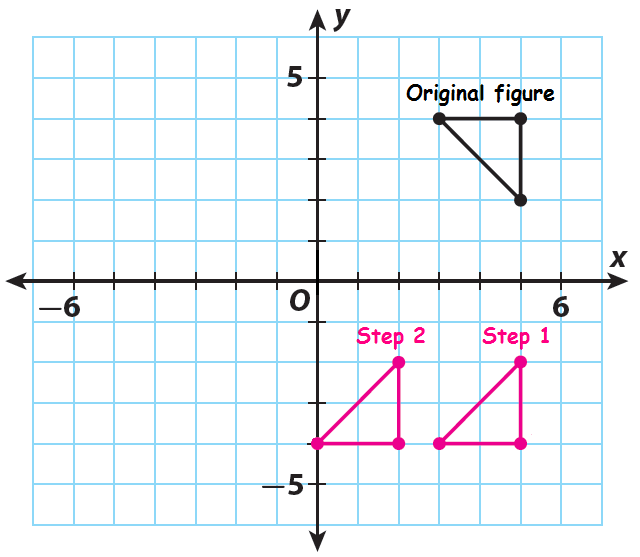 Apply the indicated series of transformations to the triangle. 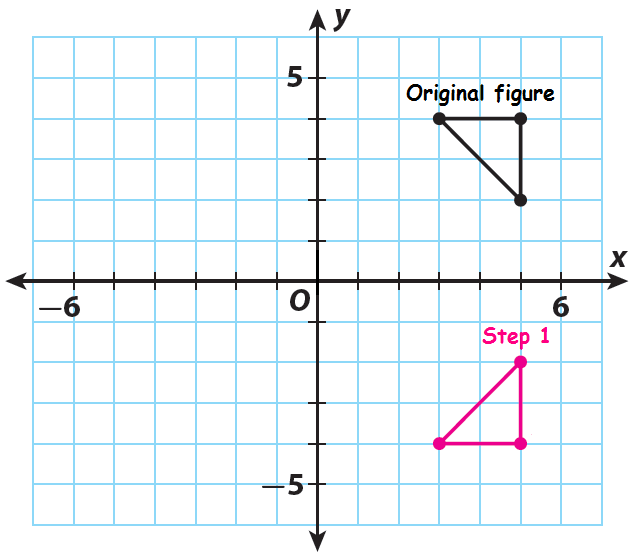 Each transformation is applied to the image of the previous transformation, not the original figure. Label each image with the steps of the transformation applied. (i) Reflect across the x-axis. (ii) Translate 3 units to the left. (iii) Reflect across the y-axis. (iv) Translate 4 units up. (v) Rotate of 90 ° clockwise about the origin. Compare the size and shape of the final image to that of the original figure. They have the same size and shape, just a different orientation. 1. 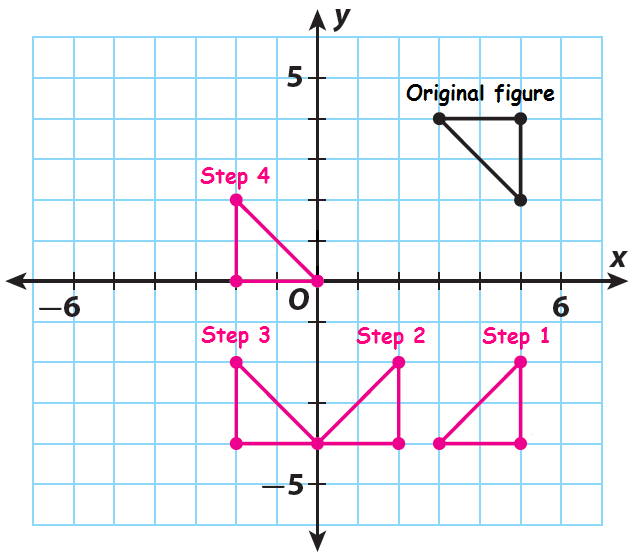 Which transformations change the orientation of figures ? 2. 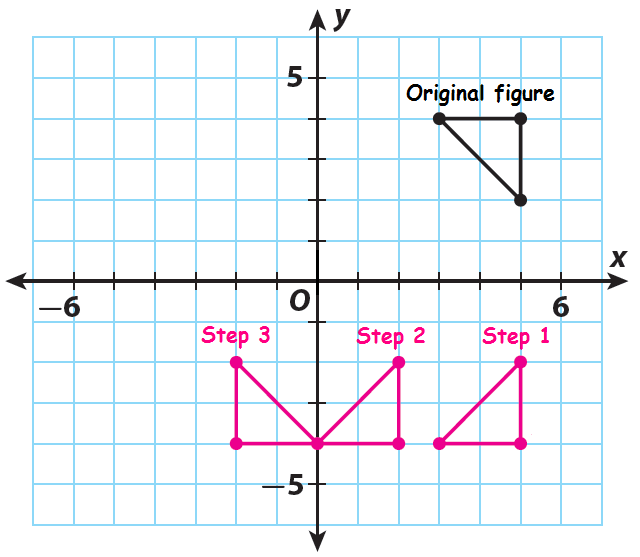 Which transformations do not change the orientation of figures ? 3. Two figures have the same size and shape. What does this indicate about the figures ? 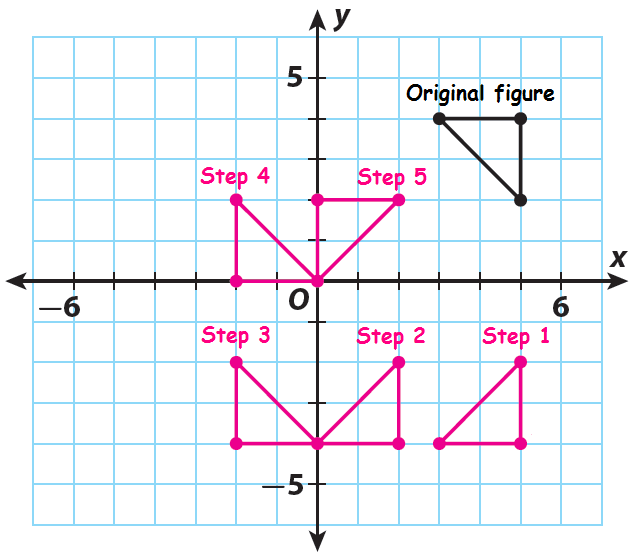 One figure is the image of the other, and there is a sequence of transformations that will transform one figure into the other. After having gone through the stuff given above, we hope that the students would have understood "Combining transformations"